Robin Cox was diagnosed with Cancer when he was nine years old. During the following years he underwent significant radiation treatment and a number of major operations. In addition, in the midst of these operations and treatment, his mother died suddenly. Robin’s journey through his teenage years as a Cancer survivor has had a profound impact on his life and led to him developing a passion both for teaching and the mentoring of young people trying to find their way through challenging circumstances to become the best they can be. He achieved State or Provincial selection in a number of sports during these adolescent years and his experience as a School Captain contributed to another of his passions, developing the leadership skills of young people so they can become positive people of influence in their local and wider community. Robin Cox, B.A., Higher Diploma in Education, is the founder of YES! The organization began in 1987 under the name South African Youth Symposia (SAYS) and its name was changed to Youth Empowerment Seminars in 1999. SAYS pioneered multicultural national symposia, which were aimed at bringing young people of all ages together to prepare for the inevitable change of government and the death of apartheid in South Africa. Approximately 6000 adolescents attended SAYS and YES! Workshops and seminars over the years. Symposia also looked at the development, through training, of youth Life Skills, which included conflict resolution training a significant series of skills required by young people in a post-apartheid South Africa. Robin taught for 40 years, was a Secondary School Principal for eight of these years, held a variety of management positions for 22 years, and was always involved in multicultural education environments. During this time he coached sport extensively at regional and national level, was a boarding housemaster or assistant housemaster (for 18 years) and was involved in a number of community projects. He has mentored (at different levels) over 1000 adolescents from a variety of socio-economic backgrounds, as well as many teachers. In 1999 Robin and his family emigrated to New Zealand and, under the auspices of Youth Empowerment Seminars, he ran a series of one day Life Skill workshops for 15 – 17 year old students, focusing on self-image, relationship-building, communication and goal setting skills. Approximately 1000 students attended these seminars, representing 22 New Zealand Secondary (High) Schools and which gave Robin the opportunity to gain a deeper understanding of the thinking of New Zealand Senior School students. 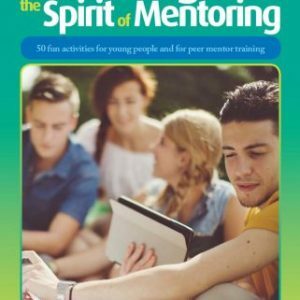 In 1999 Robin developed a Mentor Training Program for volunteer adult mentors working with students who had been identified with below average self-esteem. He has continued to develop this program, trained over 1,000 volunteer adult mentors and run over 75 mentor training programs or workshops. He has also trained Mentor Trainers and developed a training program to facilitate this process. Robin’s Mentor Training Program was accredited by the Auckland University of Technology and the NEPEAN TAFE (Technical And Further Education) in New South Wales, Australia. 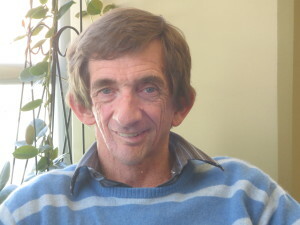 In 2004 Robin completed the writing of a Peer Mentor Program for use in schools, which is based on two Peer Support and Peer Mentor Programs he wrote between 1990 and 2002 and which were piloted at schools in South Auckland, New Zealand he was associated with. These programs were developed around pioneering material written by Elizabeth Campbell in Australia in the 1980s and were developed with her encouragement and support. He has trained many Peer Mentors, as well as some Peer Mentor Coordinators. In 2006 Robin received a Churchill Fellowship and travelled to the United States of America and Canada visiting 23 youth mentoring programs. In 2006 Robin moved to Australia and, in addition to running Life Skills and career related workshops for students, he developed the GR8 Mates school-based youth mentoring program which was run successfully as a trial in three schools in New South Wales. Trained volunteer adult mentors met for an hour each week during the school term with 14 or 15 year old students identified by the school as possibly beginning to disconnect from their education journey for a variety of reasons, many of these students from single parent homes, to discuss life in general, learn how to set goals and explore career possibilities and requirements. In 2009 Robin accepted a position as Associate Head of a co-educational school (1350 students, P-12) in North Brisbane, Australia, responsible for the pastoral care of Staff and students. He developed Life Skills programs, Peer Mentor and Peer Support programs, worked with Student Leaders, developed a new Student Leadership model and contributed to the ongoing development of a holistic education model for the school. In 2012 Robin was invited to India where he ran Mentoring and Coaching from the heart Seminars at four schools, attended by approximately 150 teachers, mostly in Senior or Middle Management positions, and a workshop on goal setting at another School which was attended by approximately 130 male and female students aged 15 or 16 years old. 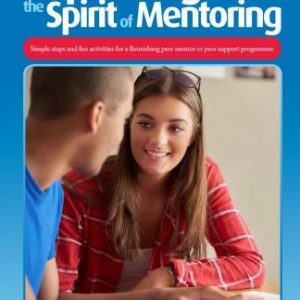 Since 1999 Robin has developed a Spirit of Mentoring Seminar which he has run in Australia and New Zealand for educators and non-educators. In 2014 Robin received an Honorary Fellowship Award from the Australian Council for Educational Leaders. 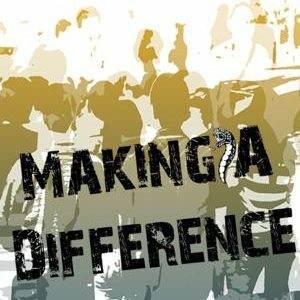 Making a Difference – The Teacher-Mentor, the Kids and the MAD Project (a novel). Robin retired in 2017 and renamed Youth Empowerment Seminars (YES! ), Mentoring Matters. He currently resides in New Zealand, working on developing mentoring resources and programs to encourage young people to become the best they can be. For more information, check out the YES! Website: http://www.yess.co.nz or his Facebook page: https://www.facebook.com/robin.coxmentor communicate with him on LinkedIn https://www.linkedin.com/in/robin-cox-adolescent-mentoring-mentor-trainer-and-education-9a7a2128/ or follow him on Twitter @million2016coxy.